Jaeger LeCoultre is a name a watch snob very familiar with, often mentioned along Patek Philippe, Vacheron Constantine, and Audemars Piguet. Although price wise, JLC is not on the same level with the “Big Three”, precision and movement wise JLC is arguably on par with them. The history of JLC dated back in the 1833 when LeCoultre family founded a small watchmaking shop in Le Sentier, Switzerland. By 1900 JLC had created over 350 different calibres, of which 128 were equipped with chronograph functions and 99 with repeater mechanisms. From 1902 and for the next 30 years, LeCoultre & Cie. produced most of the movement blanks for Patek Philippe. Not until 1903, Paris-based watchmaker to the French Navy, Edmond Jaeger, challenged Swiss manufacturers to develop and produce the ultra-thin movements that he had invented. Jacques-David LeCoultre, Antoine’s grandson who was responsible for production at LeCoultre & Cie. accepted the challenge. In 1907 JLC signed a contract with the Parisian watchmaker under which all Jaeger movements for a period of fifteen years would be exclusive to Cartier, the movements were produced by LeCoultre. The collaboration between Jaeger and LeCoultre led to the company being officially renamed Jaeger-LeCoultre in 1937. Today, JLC still supply various watch brand with their movement, among them are Audemars Piguet (Royal Oak Dual Time) and Vacheron Constantine (Overseas Dual Time), both acknowledged as part of the “Big Three”. 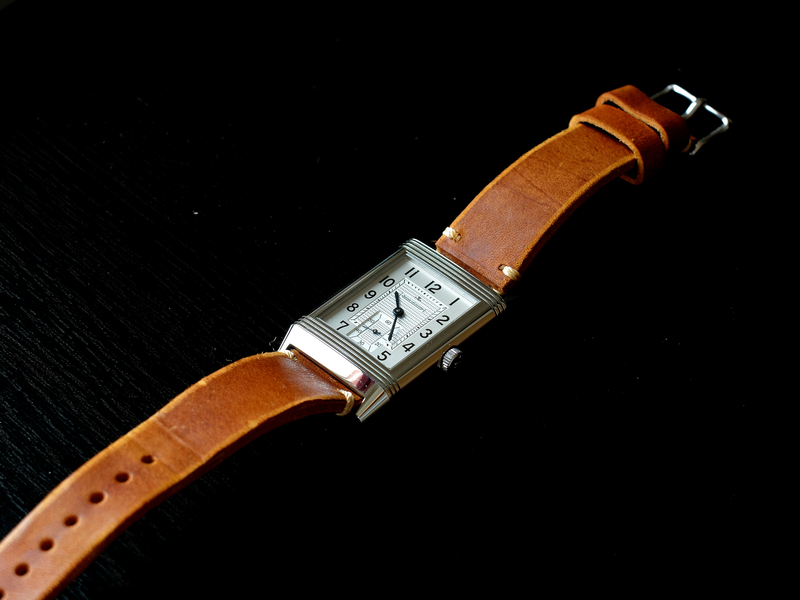 What I am reviewing today is one of the most iconic timepiece of all time, Jaeger LeCoultre Reverso. 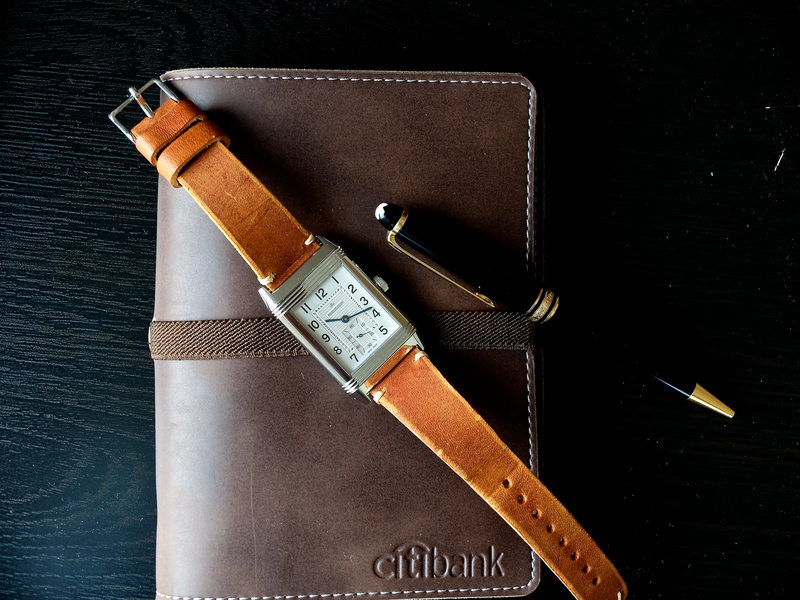 The name “reverso” in Latin means “I turn around”, capturing the essence of this watch which has two faces that could be easily switched by turning it. The history of Reverso itself began in 1930 when De Trey was in India on business, attending a polo match in his spare time. He was approached by a player who held up his broken watch and asked De Trey to make a watch that could withstand the rigors of the polo grounds. De Trey thought about the problem and discussed it with his friend Jacques-David LeCoultre and the French firm Jaeger S.A. The work was entrusted to Jaeger, who then enlisted the services of French designer René-Alfred Chauvot. Chauvot developed and patented a case mechanism that allowed the watch to be flipped over while on the wrist. When I went to India on March 2015, I can confirmed there are many Polo club specially in Rajashtan and many of them are still in use. However I don’t play polo and I don’t wear my reverso at the time (I use Seamaster GMT instead). 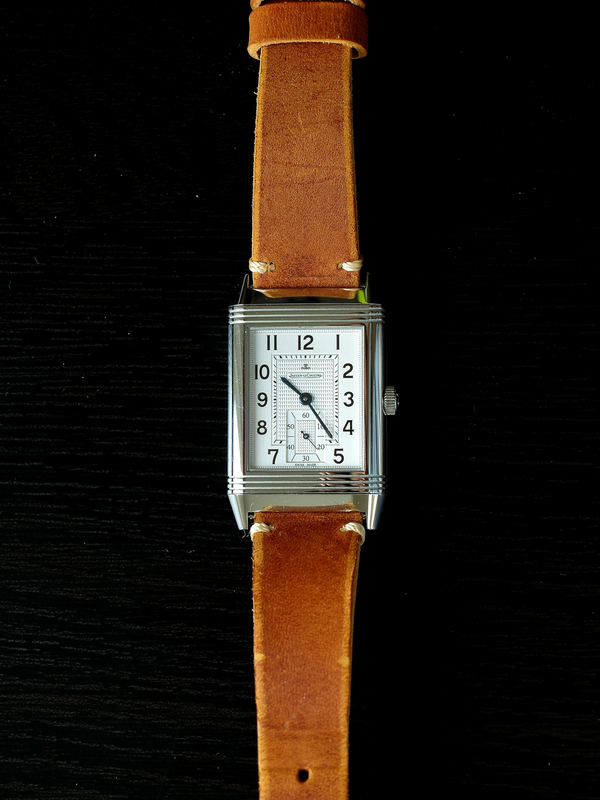 Production of reverso remained low during World War II and in the subsequent decades, and the watch briefly fell out of production in the 1970s, until Italian JLC distributor Giorgio Corvo, who was also a connoisseur and collector, discovered a small cache of cases during a visit to the JLC manufacture in Switzerland in 1972. He persuaded the company to sell him all 200 cases, had them fitted with mechanical movements and took them back to Italy, where all 200 watches sold within a few weeks. 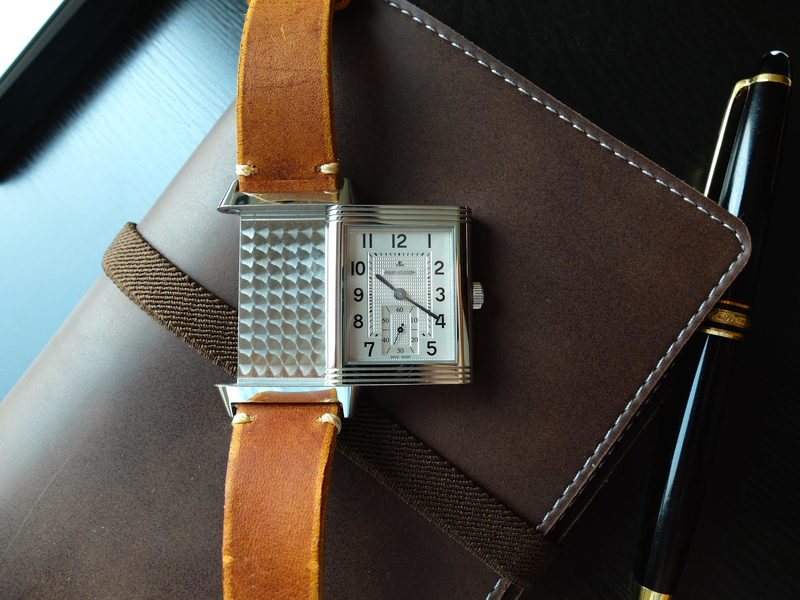 The legend, which JLC has never confirmed, adds that Corvo was instrumental in convincing the manufacture to resist the quartz temptation and use only mechanical movements in the Reverso. 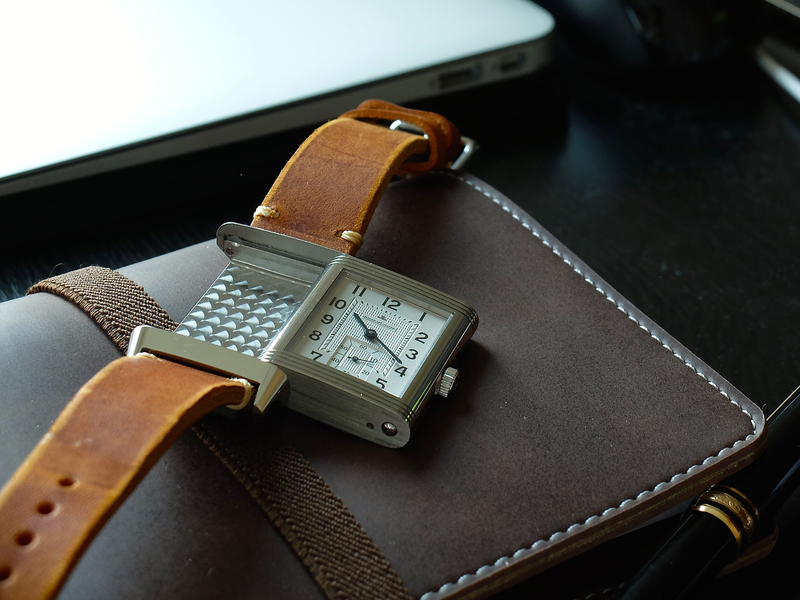 The blank canvas on the original reverso was quickly seized upon by those who owned the watch. 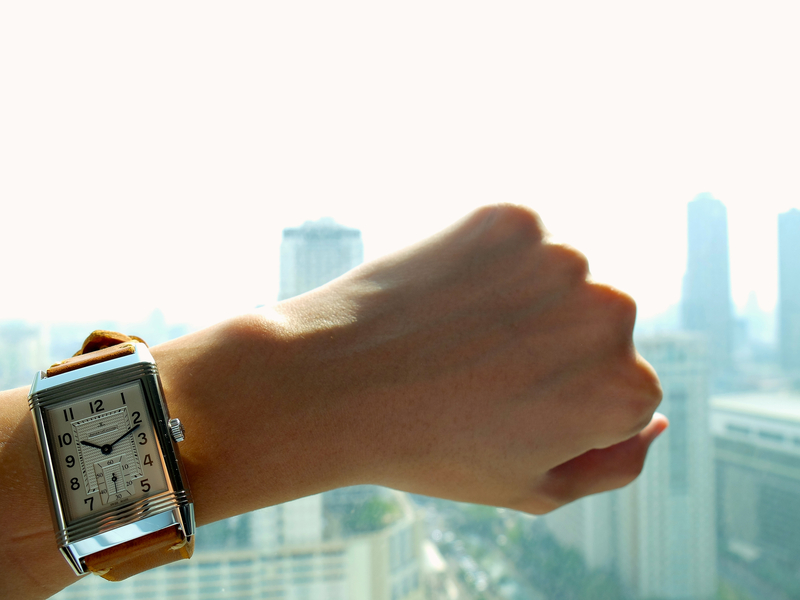 Because of its timeliness and Art Deco styling, the watch was quickly adopted by the rich and famous. King Edward VIII of England wore one. His bore an engraved illustration of his crown and title, as did that of the Prince of Denmark’s watch. Amelia Earhart’s Reverso featured an enameled map of North and Central America, commemorating her historic flight from Mexico City to New York on May 8, 1935. Today, you can go to the JLC website and design an engraved or enameled back for your own watch. 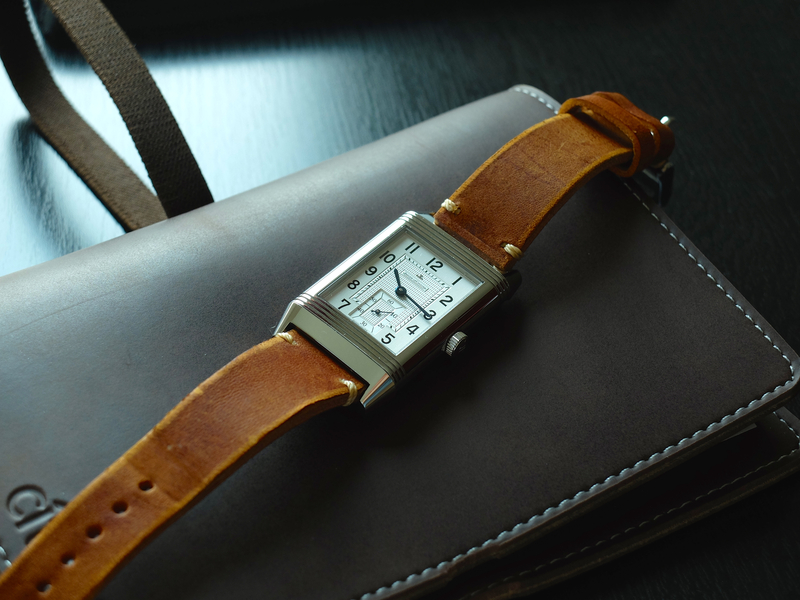 The reverso I bought is the “Grande 976” which has bigger case than the original reverso and transparent case back instead of the blank canvas. I had been wearing it for over a year occasionally when I’m dressing up, but my daily rotation are Omega Seamaster Professional 300 GMT and Omega Seamaster 300 Master Co-axial. I have to admit that it is quite large for my 6.5 inch wrist, but I still found it appealing and not too distracting. This is my second expensive watch purchase, the first one was Omega SMP GMT “bond” which has travel with me to over 4 continents in the past three years as my daily watch, I swim, cycle, run, bath, sleep (when overseas) with it on my wrist. I have once wear it for four days straight when traveling to Bali, in fear that I might lose it. When I was ready for my next purchase, I was thinking about buying a dress watch to compliment my dive watch. 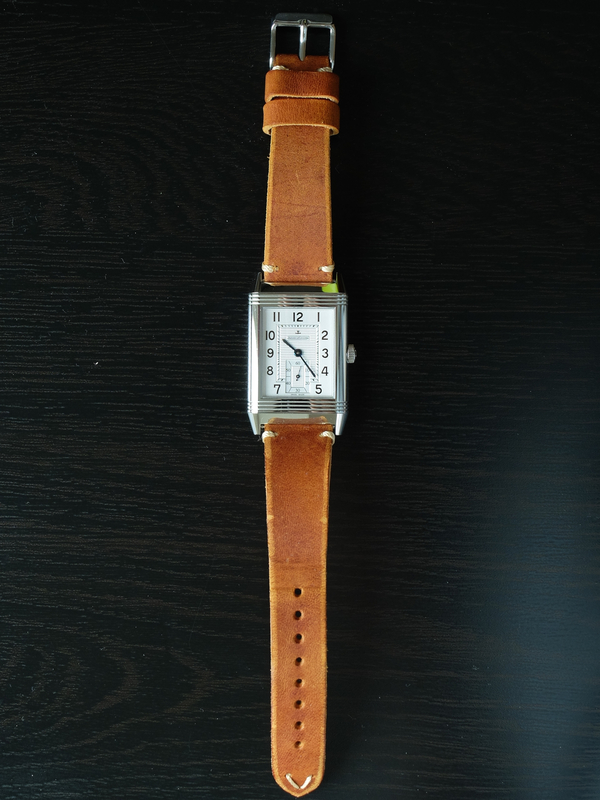 I found the reverso as the perfect watch to accompany my Seamaster, after watching “Thomas Crown Affair” I knew I had to have one. As perhaps the most iconic watch of all time (along with Rolex Submariner, Omega Speedmaster, AP Royal Oak, etc), it also has Art Deco design and wonderful movement seen through the case back. 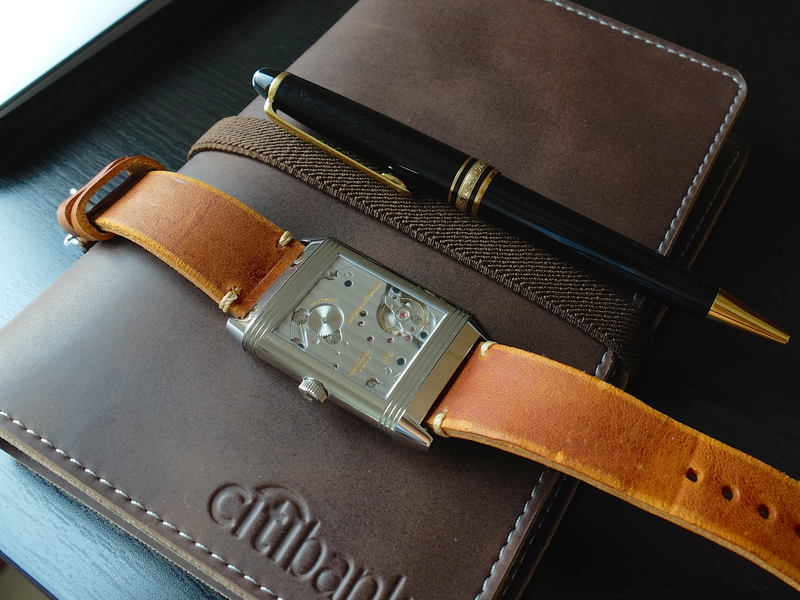 I bought my reverso on the day I established a joint venture on stock investing, so it become my “office watch” and a commemoration for the initial step toward financial independence. So far I have never traveled with reverso, and I wear it only when I know I won’t be doing much physical activity for the day. 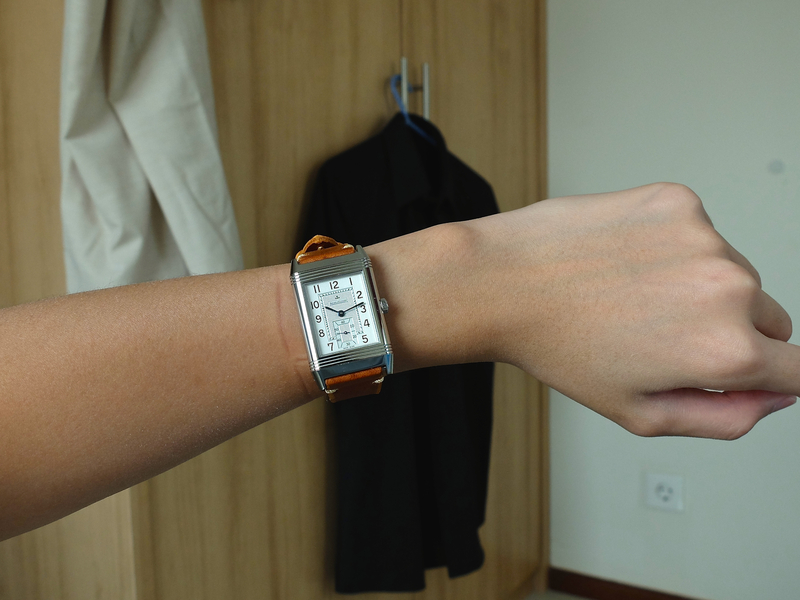 When I was about to buy my reverso, I was undecided between the “Grande 976” and “ultra thin 1931”. One has a second hand and transparent case back while the other is more simple and has a blank canvas on the back. Finally I tried them both and found myself hooked with the 976. 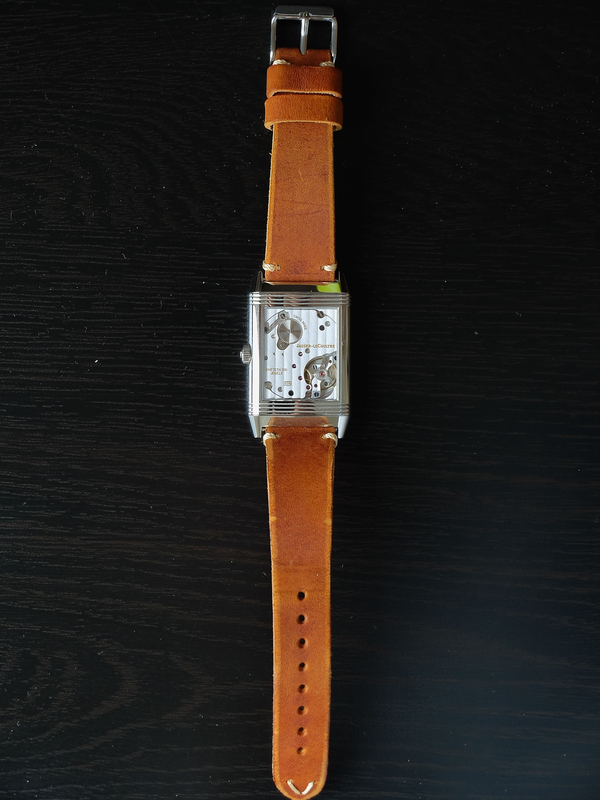 It wears comfortably at my flat wrist, you might have noticed that I changed the strap with an after market brown strap with 20mm lug instead of 22 mm lug Reverso has. The polished stainless steel case is easily scratched, in fact there’s lot of hairline scratches and two deep scratches already on my lovely reverso, but of course it could be polished by the service centre. On many occasion I found myself starring at the dial, looking at how smooth the second hand sweeps in the smaller dial. And when I am bored, I flipped the case and admire the movement. The accuracy of my reverso is +2 sec/day for a month, better than my Omega which average +4-5 sec/day, all of them however still within the COSC standard. There are few in-house movement for the price of JLC, and this one has an MSRP $7950 but available for slight discount at my AD. 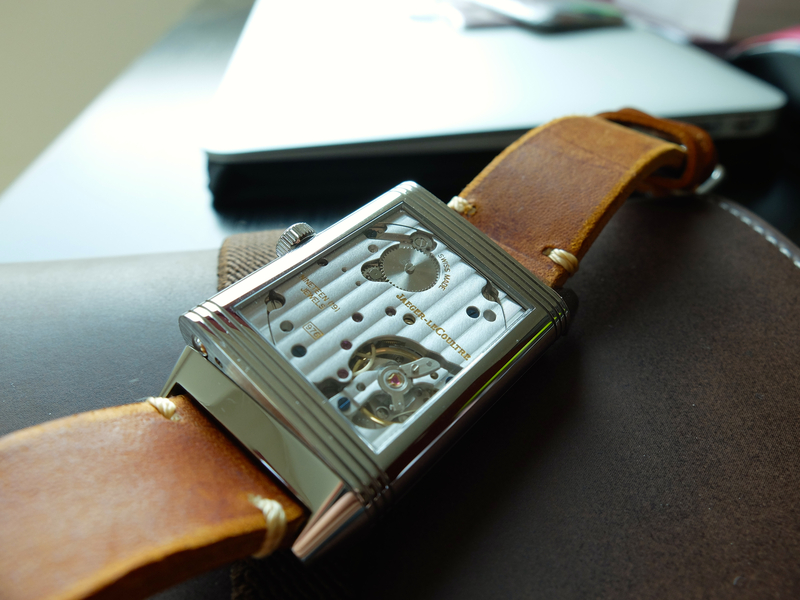 Looking at my reverso every morning is like love at the first sight, winding it’s mechanical movement for 70 times which retain 48 hours power reserve. Like many things in life, a watch purchase isn’t a logical one but rather an emotional one. There will always be watches with better movement, better water-resistant, better (you name it), but eventually you’ll come with the right one for you. And after spending some time with it everyday on your wrist, it starts to grow on you. I can’t wait to see how it look and the memory we’ll had in the next ten, twenty years from now. It’s like having a girlfriend, only better. This entry was posted in Watches and tagged 976, accuracy, art deco, history, jaeger, jlc, leather strap, lecoultre, movement, Reverso, review. Bookmark the permalink.